The Volkswagen R Series is being promoted in New Zealand with an online series of tests designed to measure whether you have the reactions to handle the fastest ever Volkswagens. Visitors to the R Series Test site are given four challenges: using arrow keys, stopping a speeding car with a click, clicking on a turning car four times in succession, and finally manouevering a Volkswagen around a track with accuracy and speed. The three cars being promoted are the Passat R36, the Touareg R50, and the Golf R32. 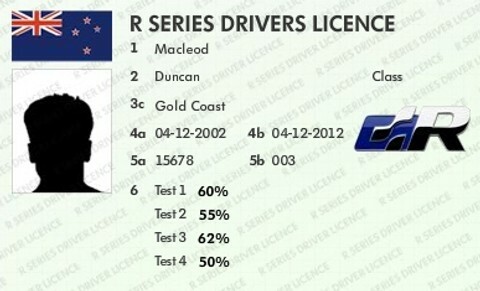 Once the four tests have been completed with enough accuracy (you can retry each of the tests) you’re issued with a personalised drivers license. The R Series Licence Test was developed at DDB New Zealand by executive creative director Toby Talbot, interactive creative director Dan Wright, art director Gavin Siakimotu, copywriter Mike Felix, and designer Peter Chen.